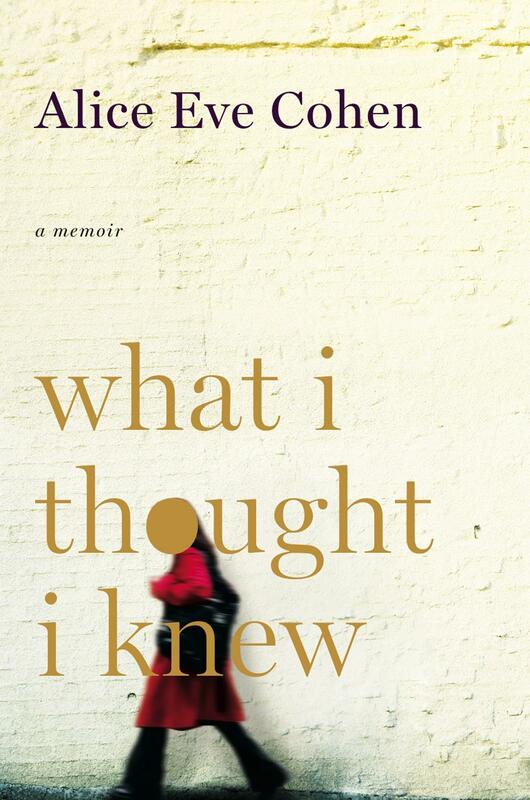 In this engrossing memoir, Cohen details her pregnancy that occurred unexpectedly at age 44. Cohen had wanted children desperately when she was married previously, but after years of infertility, she came to grips with the fact that she would never bear her own child, and instead she and her then husband adopted a little girl. Yet, years later, after struggling for months with an unknown illness, Cohen gets the shock of her life; she is six months pregnant. After numerous tests and ultrasounds, a myriad of health issues are discovered, which only adds to Cohen’s confusion and grief. What I Thought I Knew is an extremely difficult book to read. Cohen is unflinchingly honest, to the point where she admits her intense grief over the pregnancy, as well as her consideration of a late term abortion. I can’t imagine how difficult it would be to offer up such a candid insight to a subject that would normally be kept under wraps. I will admit that my only issue was with the fact that Cohen’s child will likely read this book one day. It would be a difficult pill to swallow for anyone, and I would guess that most people would have a difficult time coming to grips with something like this. I feel strongly that What I Thought I Knew brings a voice to a subject matter that is not often discussed openly. Not every woman is thrilled to find out they are expecting, and although it was difficult for me to put myself in Cohen’s position, I could certainly empathize with her. Every woman has a right to her own reactions and emotions, and while I was relieved with her ultimate choice to have her baby, I didn’t fault her for exploring other avenues. Be aware that this book is not for the faint of heart. It definitely tackles some difficult issues. Once people know you’re a big reader, do they start suggesting books for you to read? Because it sure happens to me quite frequently. Case in point, an attorney in my office, knowing what an avid reader I am, showed up in the office one day with One Day. I was instantly dismissive of it, although the synopsis, along with Nick Hornby’s seal of approval, started garnering my interest. I figured I would have to read it anyway, just to be nice. Besides, I needed something fluffy to read during the hustle and bustle of the holiday season. Emma Morley and Dexter Mayhew are just graduating college in London on July 15, 1988, when they end up in bed together. It doesn’t appear as though the deal were sealed, but we’ll still call it a one night stand. The only difference is the two stayed in contact over the years. The reader gets a glimpse into their lives every July 15, up until 2007. I loved that aspect of the book, because there was only so much we, as the reader, could understand or know. It becomes obvious from the get go though that these two, Dex and Em, Em and Dex, belong together. They form this unique friendship that seems to stand the test of time, although the timing for a romance is never there. The two encounter many challenges along the way. They both have self esteem issues. Em becomes introspective and it takes her awhile to break out of her shell and go after the things she really wants in life. For awhile there she is stuck as a waitress in a Mexican restaurant, dating a failing comic named Ian Whitehead, whom she may love but for whom she has absolutely no passion for. Meanwhile, Dex is living in the fast lane. Picture a Carson Daly-esque TV host who quickly spirals out of control due to excess women, booze and drugs. Given the combination, Em and Dex encounter speed bumps along the way and their relationship begins to fray. Despite what I had been told about this book (said attorney could not put it down), I had a hard time becoming involved. I was irritated with Dex and Em. I actually liked Dex and was rooting for him, however corny that may sound. I knew from the start that he was a likable guy who was just unable to accept himself. He wanted to be considered cool and accepted. Em, on the other hand, annoyed me. I couldn’t understand why she didn’t just grow up and make herself happy. She had all the tools available, but she was too scared of failure. Her relationship with Ian annoyed me to no end because I knew she was just settling. Something happened though, which changed my mind about One Day. This is definitely a *spoiler*, so skip this paragraph if you’d like. Emma and Dex come together, realize that they are in love, and get married. And then . . . Emma dies. Awful, I know. It’s a freak accident. She’s riding her bike along the roadway when a driver, not paying attention, hits her. On July 15. The impact this had on me, I cannot describe. 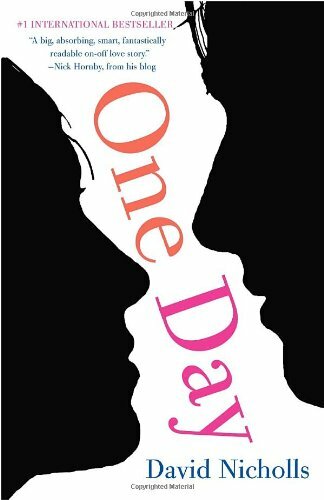 I seriously thought about this book, and Emma’s death, for days afterward. I was just heartbroken. And however much I was ambivalent about the book beforehand, how can that not be wiped away when I have such a strong response to the ending? What a conundrum. So, as you can see, I had mixed emotions about One Day. Would I read it all over again for the ending? The answer, I think, is yes, because if I am so impacted, that has to be an indication of something good. I borrowed this book from a coworker.